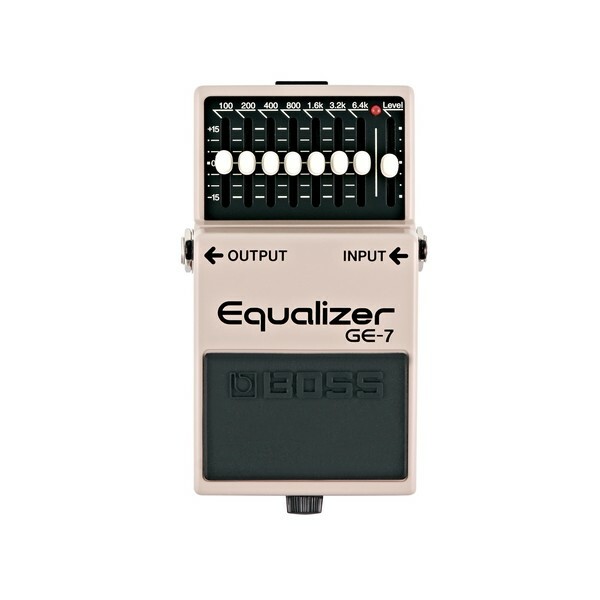 The Boss GE-7 Equalizer Guitar Effects Pedal provides players with excellent control over their tone, featuring a 7-band slider EQ to offer precise adjustments to a wide frequency range, from 100Hz to 6.4kHz. Each band can be boosted or cut up to 15dB, letting players find the sweet spot of their setup in any location. Experiment with the GE-7's controls to give your sound a unique twist, or as a simple way to boost your sound during solos. With its compact design, extensive controls, and durable construction, the Boss GE-7 Equalizer is the perfect tool for any player wanting absolute control over their tone. 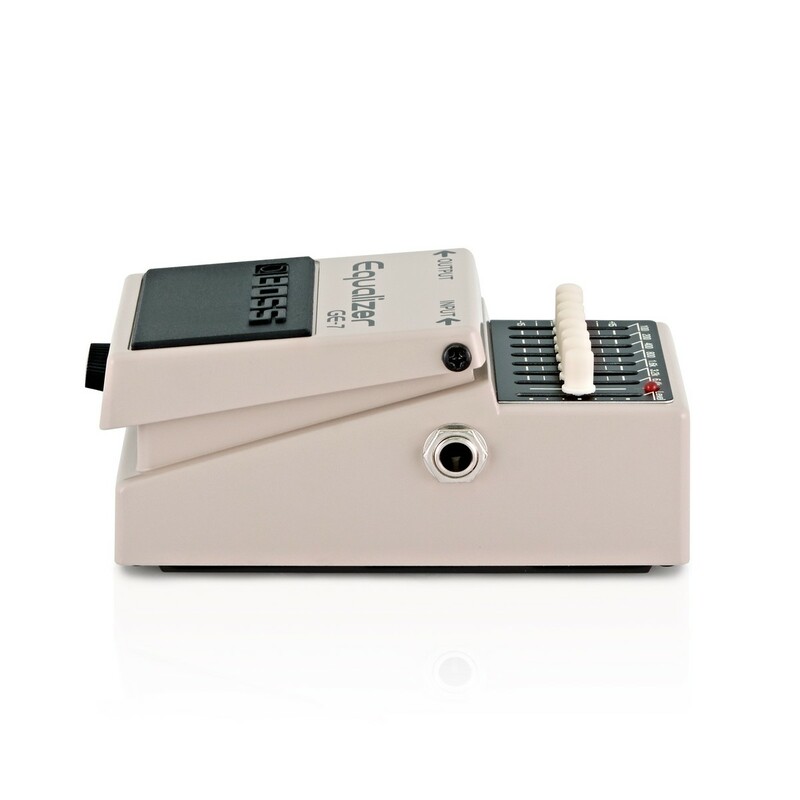 The Boss GE-7 is the perfect tool for players wanting absolute control over their tone, featuring a 7-band EQ with sliders for the ultimate level of precision. 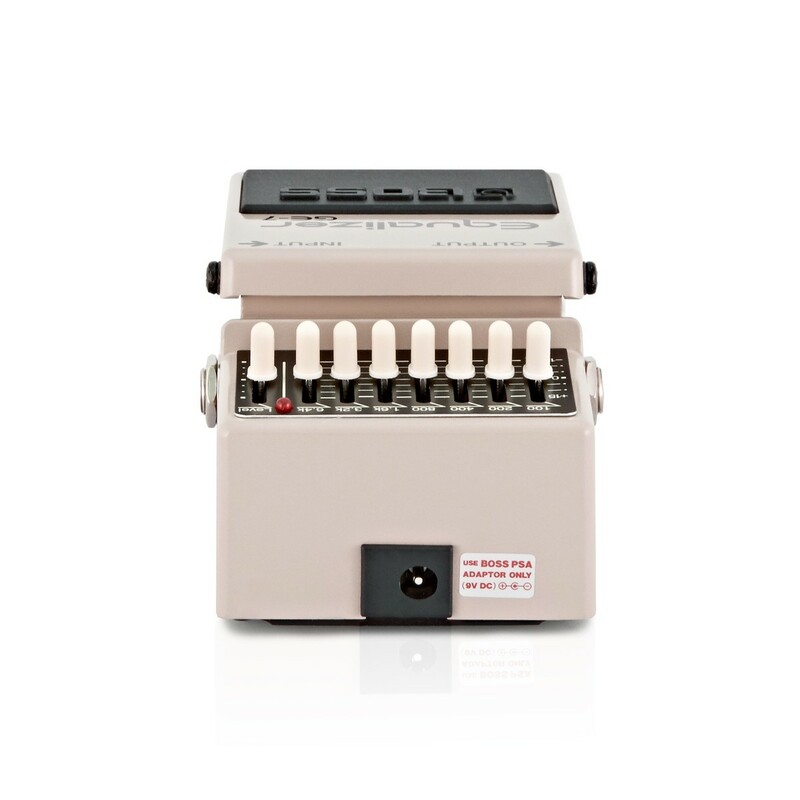 Make adjustsments to a wide range of frequencies, from 100Hz to 6.4kHz, and boost/cut each band up to +/-15dB. Experiment with each slider to create a whole host of alternative sounds, giving your performance a unique edge that will make it sound out from the rest, or adjust the levels to give your guitar an instant boost in volume during solos. 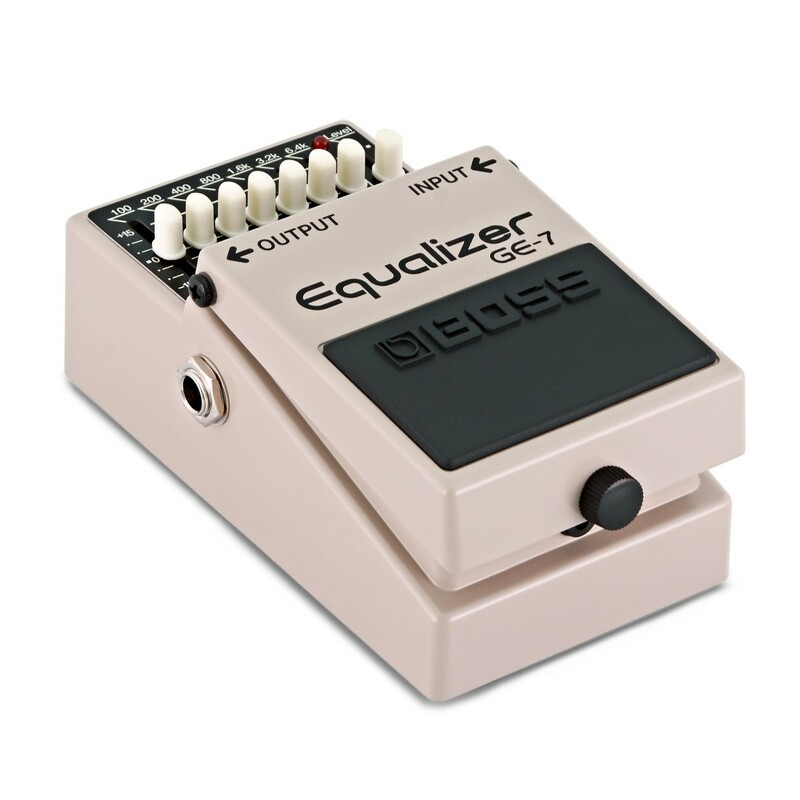 This compact EQ pedal is also ideal for eliminating unwanted feedback, making it perfect for placing after your distortion pedal to ensure your tone remains crisp and clean.